The use of recyclable folding containers saves 1.5 million truck kilometres and thus annually 1.4 million kilograms of CO2 emissions at REWE Group. For return transport without goods, these folding containers need eight times less space than conventional ones, thus substantially reducing the traffic volume in Austria. So what made this sustainable improvement for our environment? In autumn 2009, the REWE Group was first equipped with folding containers. In June 2010, KNAPP Systemintegration GmbH, a KNAPP AG subsidiary, landed the order for designing a container transport and washing system – and for delivering and installing the container transport system as general contractor. 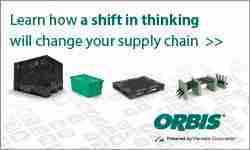 The logistics of the business will be switched entirely to containers fully owned by the REWE Group. 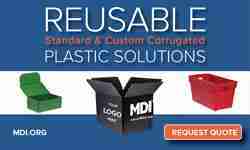 So far the company has to some extent been using containers provided by its suppliers. With spring 2011, the entire Group will have switched to recyclable folding containers, parallel with the completion of the container transport and washing system. Folding containers returned from the REWE Group branch stores BILLA, MERKUR, PENNY, BIPA and ADEG are automatically depalletized and destacked at the REWE Group warehouse in Inzersdorf near Vienna, Austria. Before the containers are cleaned in a special environment-friendly and energy-saving procedure, innovative machines automatically fold open the containers. After drying, the different types of containers are sorted with a high-performance sorter. 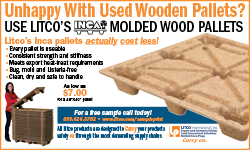 The clean and single-type folding containers are then stacked, palletized and receive a transport guard before they are again made available to the food manufacturers. For the design of the system, REWE Group and KNAPP laid special focus on dynamic energy management. This feature of KiSoft Reusables Management Solutions (KiSoft RMS) ensures the lowest-possible energy consumption throughout the entire lifetime of the system. REWE International AG employs approximately 68,000 people both at home and abroad, and with about 38,000 employees, is one of the largest employers in Austria. Around 3,600 branch stores are under the REWE International AG umbrella (status: end of 2009). The business headquarters are in Wiener Neudorf. The Group is represented on the domestic market with the companies BILLA, MERKUR, PENNY, BIPA, and ADEG, as well as numerous store brands such as Ja! Natürlich, CHEF Menü, clever, Quality First, Wegenstein and MY. REWE International AG is also active on the Austrian tourism market: ITS BILLA Reisen, JAHN REISEN, MERKUR Ihr Urlaub and PENNY PACK’N’GO. In addition, REWE International AG also operates the supermarket segment in Italy and seven other central and eastern European countries: Bulgaria, Croatia, Romania, Russia, Slovakia, the Czech Republic and the Ukraine. KNAPP Systemintegration – a subsidiary of the KNAPP Group operating worldwide – is specialist for all-in-one logistiscs solutions in complex and highly automated warehouse areas. The core competencies of the Company lie in the conceptualization and the development of complete logistical solutions and their realization as system supplier and general contractor. The business activity ranges from integrated analysis of business processes and professional consulting, planning, programming, manufacturing, the entire installation and startup up to technical system operation including provision of required staff and necessary training. 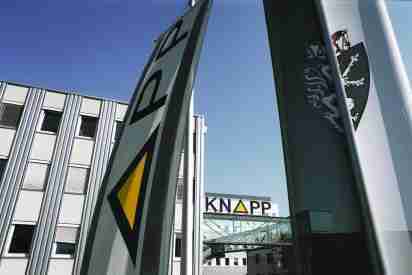 With a 24-hour Hotline, KNAPP guarantees its customers optimal system operation. 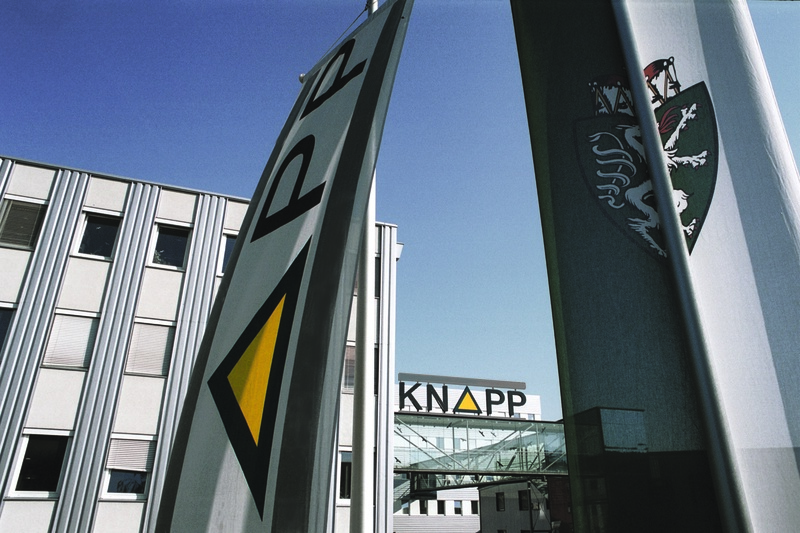 With more than 200 employees, KNAPP Systemintegration in Leoben, Austria, is one of the technological market leaders in end-to-end logistics concepts. Leading companies worldwide in audio & video, office supplies, mail-order business, beverages and food, cosmetics, pharmaceuticals and tools trust the company and its brand KiSoft.